A new pet can be a fantastic companion, but sometimes the novelty can wear off (some pets live for a very long time). You may find that regular cleaning, feeding and playing becomes a time consuming chore. This does not mean ‘how long are you in the house’ but how much time throughout each day are you able to devote to training, exercise and general care of your pet? Depending on the ‘breed’ or ‘cross’ you choose or aquire. That’s at least 20 hours a week, and that’s just the basics. Before you do anything… Have your dogs checked by the vet and insured if possible. This should identify any problems he/she may have already, and will help with financial support if anything goes wrong in the future. You may wish to identify your dogs with brightly coloured or decorated collars, there are several styles of collars which perform different jobs with regards to training etc. You can attach small engraved discs with your details etched on showing contact numbers. 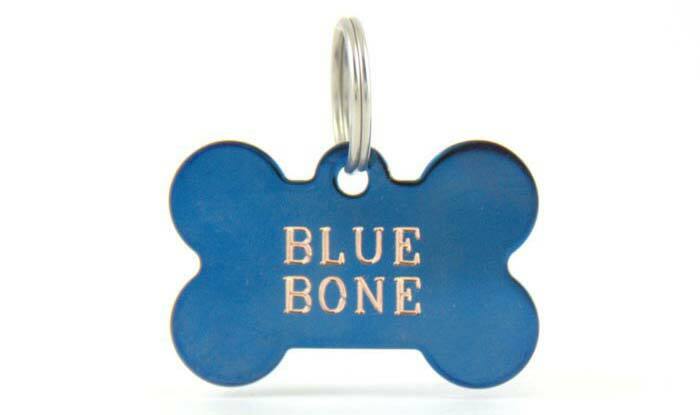 Our stores do operate a service for engraving identity tags for collars in a variety of sizes. Choose the size that’s suits your dog – not just to cater for your phone numbers and addresses etc. We also carry out microchipping for dogs at specific stores – please ask for details. It’s best to feed a high quality complete dog food that’s suitable for your dog’s age and size. There are dog foods specifically for small and large breeds, for overweight and senior dogs, and for adult dogs of an ideal weight. Avoid foods with sugars, artificial colours or preservatives and unknown food sources such as ‘meat and animal derivatives’ or ‘cereals’, as this means you can’t guarantee what’s in your pet’s food – see the Truth about Cat and Dog Food for more information. Which is best? Ceramic, stainless steel and melamine are the best choices for dog bowls. Plastic can harbor smells, is easily scratched (causing bacteria growth), and can be chewed and picked up. Make sure you choose the correct size bowl for your dog; small puppies are likely to trip over or step in a huge bowl. Slow Down bowls are designed to stop dogs rushing their food. The food disperses around the three raised peaks, slowing down the rate at which the dog can eat. It has a non-slip base, designed for maximum stability, perfect for dogs that like to push their food around, and it’s made from hardwearing Melamine, which is dishwasher safe. The bowl is available in 3 different sizes – bowls should be bought slightly larger than usual as the peaks take up space and leave less room for food. The peaks are safer than putting stones or balls into the bowl (often suggested) as these items can be ingested whereas the peaks are fixed. Dogs that eat quickly should be fed smaller amounts more frequently, in order to lessen the need to bolt the food through hunger, and prevent the overload of food in the stomach which can contribute to Bloat. Treat balls and Kongs are also recommended to help slow down food consumption. In addition, you can feed your dog a larger kibble food or a breed specific food with a different shaped biscuit to slow down them down. Dogs gulp by nature and if their bowl is low, they will gulp food and air together. The quick swallowing necessitated by the angle causes them to swallow air and makes them more likely to develop stomach bloat and gas, which can be uncomfortable and unpleasant. For older dogs raised bowls are of particular use. 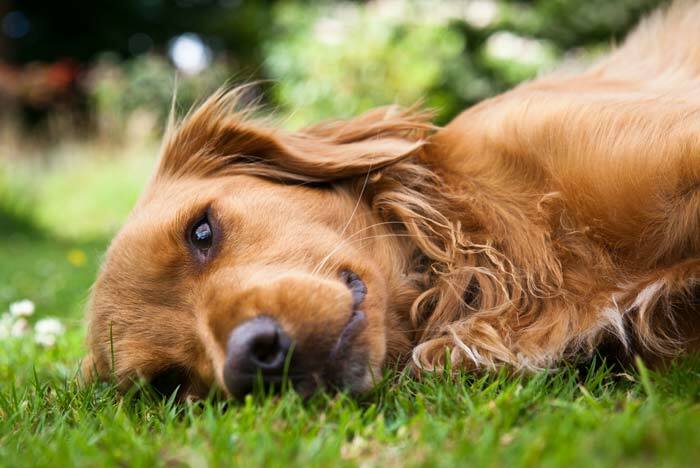 As dogs age, just like humans, they can develop joint problems and arthritis. So crouching down to eat can be difficult, and for a large dog it can become virtually impossible. A raised bowl allows the spine to stay more aligned, relieving pain and stiffness. Older dogs are prone to eat less, and they may eat less still if it is painful to do so. Raised bowls will make older dogs more comfortable and more likely to eat a sufficient amount. Starting a young dog with a proper diet from raised bowls can help prevent joint problems. For older dogs, a raised bowl in addition to a senior food and joint care can make a large difference. What height should I put the Bowl? To measure the dog for the correct height when feeding from a raised bowl, measure the height from the shoulder to the floor when standing up and subtract 6 inches. For a particularly small dog, then only subtract 4 inches. Position the bowls to this height. The Road Refresher bowl is a great practical solution for providing your pet with water on the move. It’s also ideal for dogs with long ears or beards. The clever design can reduce slobber by up to 90%. Road Refresher has a floating plate inside which feeds enough water through for your dog to drink at all times, yet immediately restricts the flow whenever there is a surge of water from cornering, braking, kicking and so on. In addition, the bowl has a Velcro base so fixes carpets, and additional safe fixing pads for fixing the water bowl to most other surfaces. Most dogs, especially puppies love soft toys, they’re great fun, but be aware – these toys are not durable and are not for chewing. Soft toys should not be left with dogs unattended, but are good for interactive play. Some dogs left to their own devices will destroy them in minutes; Fabric VS dog teeth – Fabric loses! Strong chewers or powerful dogs are better suited to rubber, rope and more durable toys. Tip – Small dogs love big soft toys too! Rubber toys have always been a popular choice; Rubber is washable, comes in a variety of designs, and good quality rubber is durable and bouncy. G&S rubber toys contain 72% natural rubber, (in comparison – Red Kongs contain 75%, Black Kongs contain 80% and other, cheaper brands usually contain around 40-45%. Natural rubber comes from rubber trees, it’s drained from the trees, so toys that contain more natural rubber are therefore more expensive as they take longer to make. Natural rubber makes the toys stronger so those containing higher amounts are better quality and will last longer, especially good for strong chewers. G&S rubber balls are solid, not hollow. The ball on the rope has non slip rope. 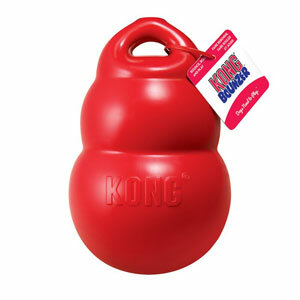 Kongs are high quality and great for using to occupy and stimulate all types of dog. They come in a variety of sizes and come in three strengths – Puppy (for puppies only), Red Kong (normal to moderate chewers), and the Black Kong which is high strength for serious chewers! Kongs are recommended in a huge variety of situations: Occupying a bored dog, to leave when you go out and so on! Kong also make other high quality toys like Wubbas, Flyers and Genius. Rope toys act like dental floss and help clean the teeth! They are also great interactive toys for tugging and retrieving. If you have a teething puppy, you can even wet the rope toy and freeze it to provide your pup with a cool teething toy. Although rope toys are fairly tough, you should keep an eye on your dog and ensure they’re not pulling out strands and swallowing them. Rope toys are not for intensive chewing. G&S Rope toys contain full quality cotton. They have no cheap fillers – these are others made of softer material that comes apart more easily, cheaper rope toys don’t last as long. They have thinner strands and a tighter weave which also makes them longer lasting, great for destructive dogs. Remember rope toys also help keep teeth clean! Nylabones promote good dental hygiene(When the dog chews, tiny bristles raise and help to clean the teeth. ), enhance mental fitness and encourage positive behaviour. There are various types available, some of the products are only suitable for puppies and the adult dog chews are manufactured to cater for differences in dogs’ strength of chewing. Chews should be inspected regularly and taken away if the dog has worn away the knuckle ends. Nylabones are not digestible, but if tiny shavings the size of a grain of rice have been chewed eaten, they should pass through the digestive system. Only the “Edibles” range is designed be eaten. Treat balls are a fantastic addition to a dog’s toy collection. They provide entertainment, and mental and physical stimulation. They are suitable for dogs of any age; they are a great way to slow down dogs who bolt their food, or to increase the physical activity of elderly or overweight dogs. Orka are great quality toys that come in a variety of designs; the packaging is extremely informative and details for which type of dog/chewer the design is best suited. They are made from durable materials and are great for teething puppies and moderate chewers alike. The Orka Jack will bounce in different directions and can be stuffed with treats; the Cool Teething Stick can be wetted and frozen to soothe gums; and others in the range float, bounce and satisfy chewing urges. G&S latex toys come in a variety of fun and squeaky designs, although not designed to be chewed, the soft latex withstands punctures better than plastic toys as it has more give, they are also washable. Boomer Balls are great for dogs that love to chase, the ball is too large for the dog to fit in its mouth, so it pushes the ball along the ground, creating a great game of chase. Providing the correct size is purchased, these toys are almost indestructible! 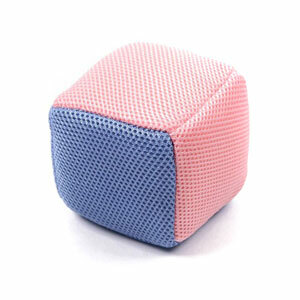 We recommend: Greate&Small latex dog toys. Always buy a toy that suits your dog’s chewing power, sometimes small breeds may need a much larger chew than you think! Always watch out for signs of wear and tear of toys, and remove them when necessary. 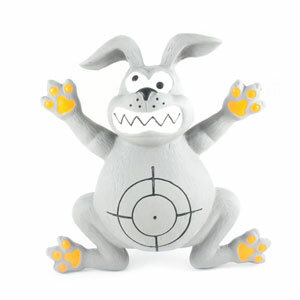 Provide a variety of toys and rotate the toys that your dog has available at one time; this keeps your dog interested. Choose a suitable bed for your pet and choose well, as this should be the place where your pet feels safe and secure. It should be of a size that your pet prefers. Depending on age and behaviour, you may need to select a non- destructible or waterproof material to avoid damage – accidental or quite clearly on purpose! Not only is the health of your pet important, but his or her safety should always be your concern. You cannot guarantee the safety of your dogs if you let them roam the streets, particularly at night. We would always recommend precautionary products for all situations as you can never be too sure. Your dog may have ‘accidents’, which need to be cleaned up with the minimum of fuss, and preferably not in front of your pet – this doesn’t mean shut them in another room! Just distract them. They probably couldn’t feel more guilty anyway! Make sure you clean up with a pet-safe disinfectant as human cleaners include the same main ingredient as your dog’s accident! Ammonia. We do sell products that repel your pet from one area and another product which could attract it elsewhere. Regardless of age or behaviour, your pet will come into contact with fleas and worms – in fact, they nearly always pick up worms before they are weaned! See ‘Fleas, Ticks and Worms’ for more information.